Department of Education and Training (DET) Victoria and Catholic Education Office educators are invited to join Global2 and create blogs for their students’, their classes or themselves. Global2 is managed and owned by the Department of Education and Training (DET). It has been developed to support student learning around the safe and responsible use of social media by using social media. This safety information is presented as a guide to assist you in setting up the most secure and appropriate community for you and your students. Get your Principals OK. Each School principal must endorse the participation of their staff and students. Get your parents’ OK. Fully informed consent must be obtained from parents/guardians. The school will need to consider the audience for each blog, post and page. It is important to consider who they want to to see any published work and adjust the privacy settings on Global2 appropriately. Consent must be fully informed, freely given, current and specific in how the information will be presented and to whom it will be presented. Schools will require signed consent for any work, images or information posted online. School should understand that while consent can be freely given, it can also be withdrawn at any time. The school would then be required to remove the content/resource immediately. The requirement to obtain consent is not unique to Global2 and or DET. This contextualises current Victorian Privacy Legislation for schools. Fully informed consent is required to sign students up to create, publish and share any personal information or opinions on any online or cloud based service. Each blog must be used for student learning. It is important to encourage your students to present their best work and to consider what they share. You will also need to use your Edumail or vic.edu.au email account to join automatically. (This enables us to ensure that the members of Global2 are from our schools). Students who are having individual class blogs will require to use their school email account and it must be able to receive emails from Global2. Teachers can create as many blogs as they like once signed up and signed in. Global2 was developed to allow teachers to see and manage their students’ blogs. Using the My Class tool, teachers can create student blogs by including each student’s school email account and a non-identifiable user name (students need their user name to log in). Teachers are automatically added as a user, assigned the role of teacher, when student blogs are created using My Class. Choosing the privacy settings for the class blogs must be done at this creation point. Teachers can choose what level of control they want their students to have using My Class. By having their own account students learn to manage their online activities including password changes and comment notifications. All students must have agreed to the school policies and/or Acceptable Use Agreements (AUA) before they join the Global2 space and teachers must make the principles around the AUA part of all online learning they lead. Every person using a blog or giving permission to use a blog must understand what it is being used for and who is going to see the content. establish and communicate clearly the learning intent for the blogs to parents and students and consider, communicate and establish the privacy settings of each blog to determine the audience. Communicate to parents and students – who will see what information. Global2 allows for a variety of options and each of these can be used on any blog, page or post of a blog. As students build their skills, knowledge and confidence teachers may choose to allow students to be the administrators of their own blog but must always remain an administrator of all students’ blogs. This gives you access to edit, delete or archive any blog or post instantly. Contact global2@edublogs.org if you require support to remove or hide content. Visitors must have a login – only someone who is logged into their Global 2 account is able to view the content. 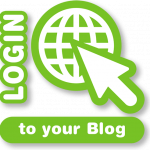 Only registered users of this site can have access – only someone who is logged into their Global 2 account and has been added as a user to the blog is able to view the content. open – but not shared to any search engines. This means anyone who has the link or knows the address (URL) of any blog will be able to see it but they can’t use Google or any search engine to find it. This is currently the default setting on blogs. open to everyone and searchable by search engines – everyone in the world can see it therefore it really needs to be high quality content worthy of a global audience. Privacy on individual blogs is controlled in Settings > Reading. Privacy of student blogs attached to class blogs via My Class is controlled in My Class > Settings. It is important that all Global2 bloggers understand who can see each blog as it will influence what is written and shared. This is a key teaching point in contemporary classrooms. Teacher’s may change permissions as skills and knowledge develop but also be mindful that some content may need different audiences eg the school may use a central blog but class pages could be only accessed by the teacher and students themselves. Refer to the Edublogs user guide to get started using your Global 2 blog. You should know how to delete a comment, archive a blog, view your students’ blogs and comments and set appropriate privacy settings. Starting with an individual or single class blog is advised. All individual blogs require an email account. Teaching students to manage their blogs and share anything they see as a concern is essential. Keep an eye on both the emails they receive and or the blogs themselves. Make sure students know what to do when they see something that concerns them. Set clear and expected behaviours for all students as you would in your classroom. Establish actions for reporting issues and removing inappropriate content. The process of teachers setting up their class blogs creates hierarchy. Teachers have the capacity to maintain control and access to all blog content, comments and settings through this hierarchy. Teachers also have the capacity to ensure that all posts come to them before they go online. This is an important feature to use when you are educating your students about what things are appropriate to post to the web. As a DET online space these are the expectations for ALL schools using Global2 including non-government schools and international sister schools using the Global2 community. Ensuring that parents are partners in the students’ blog is fundamental in the development of smart, safe and responsible users of social media. Making sure that all parents have access to the blog and are encouraged to post comments will build the knowledge of both students and families. It also ensures that there is another adult available to help students creating individual blogs. Refer to informing parents for more information on Parental Consent. Keep students’ information private. Ensure that you never use students’ full names or include their email addresses online and that they do the same. Never label a photo with a student’s full name. Ensure you have informed consent before posting images of students online or allowing students to post images of others. It is highly recommended that student blogs begin as protected sites set up with password protected privacy for parent access to allow teachers to reinforce messages around student safety, sharing of personal information and simply teaching students what is and what is not appropriate to share to the world. If you decide that your students are ready to share their posts, start by moderating their posts until you are satisfied that they can manage them with your support on the side. Remember you and the school are still responsible for supervising all of these blogs whilst they are live. It’s always hard to think about the end of something when you are enthusiastic about its set up. It is essential that blogs are closed, but it is always possible to export the content with parental permission to another blogging community such as Edublogs. It is important to keep parents informed of this because you are in effect handing over the responsibility to them and their child. This can make a great graduation gift. The Department of Education and Training (DET) provides advice and resources to support the safe and responsible use of digital technologies on its public website.